Couture Carrie: In CC's Suitcase! 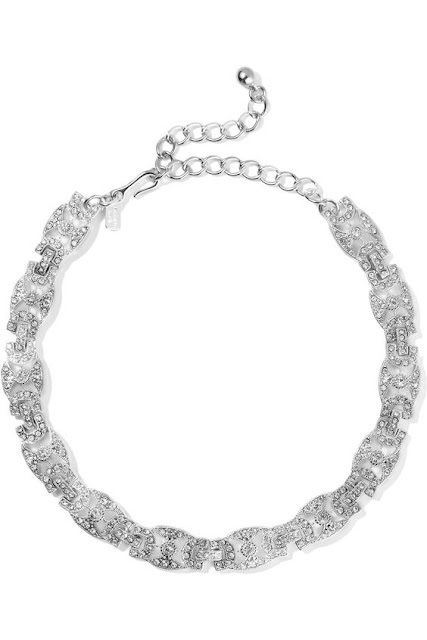 Kenneth Jay Lane silver-tone crystal necklace from theoutnet.com. Malone Souliers Savannah tweed booties from intermixonline.com. 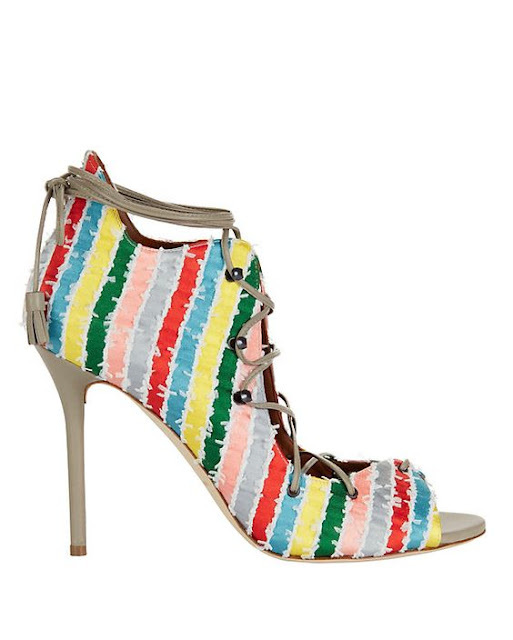 Giuseppe Zanotti Taline studded wedge sandals from barneyswarehouse.com. 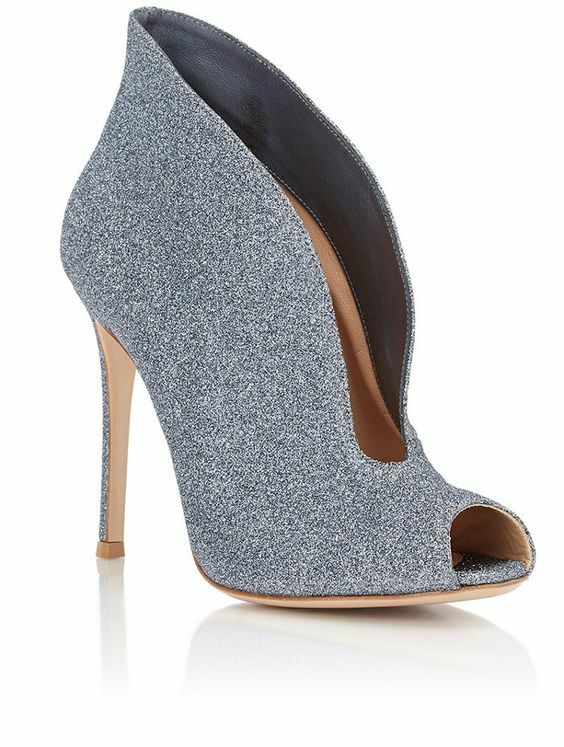 Gianvito Rossi Vamp ankle booties from barneyswarehouse.com. 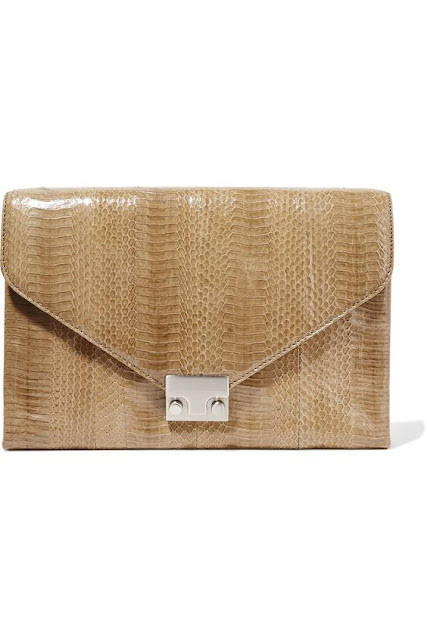 Loeffler Randall elaphe shoulder bag from theoutnet.com. Alice + Olivia Tracee cropped plisse-georgette halterneck top from net-a-porter.com. Asilio Smokey Eyes layered corset form nastygal.com. 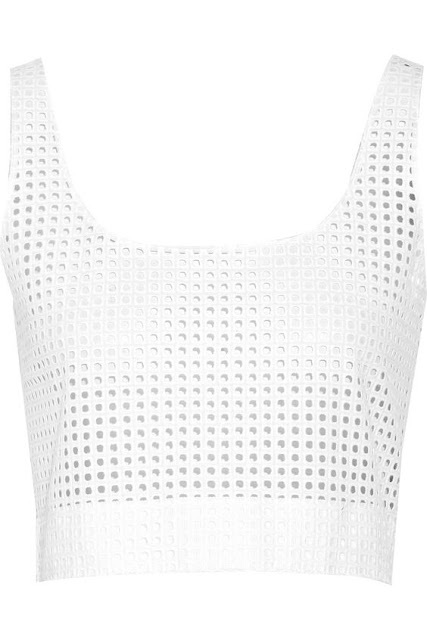 Rag & Bone Lakewood cropped broderie anglaise top from intermixonline.com. Haute Hippie cutout back silk top from intermixonline.com. 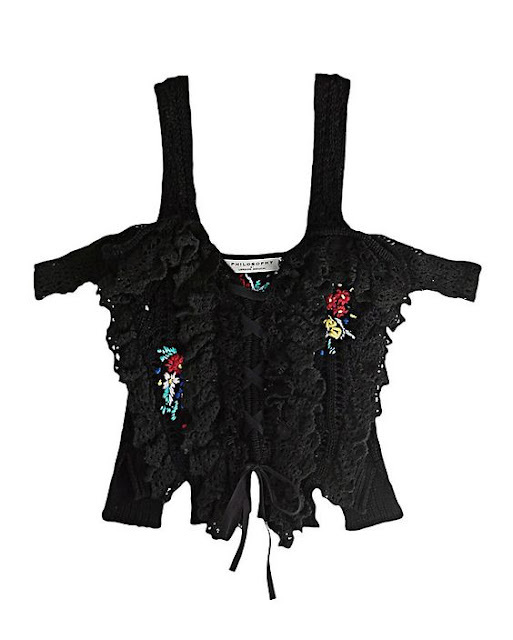 Philosophy Di Lorenzo Serafini open weave ruffle floral knit tank from intermixonline.com. Nicholas geo lace paneled ball skirt from shopbop.com. 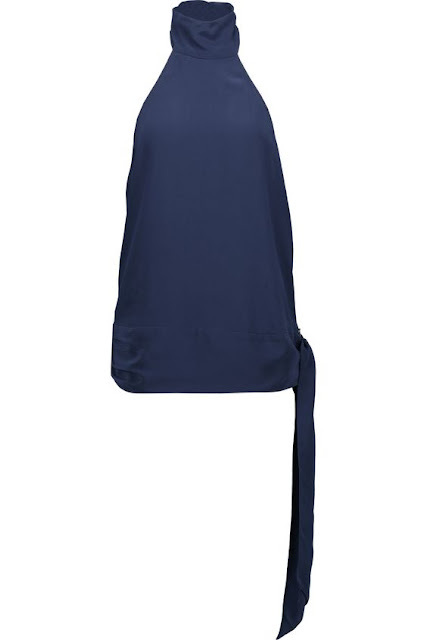 Three Floor Lacely Skirt from revolve.com. 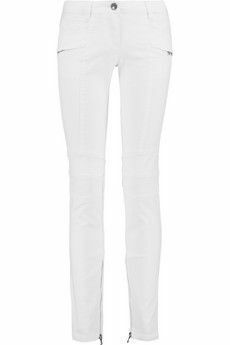 Pierre Balmain low-rise skinny jeans from theoutnet.com. Veronica Beard Whistler one shoulder jumpsuit from shopbop.com. Jill Jill Stuart lace back dress from shopbop.com. Charlie by Matthew Zink Charlie Grecian Coin Bikini at charliebymz.com. Charlie by Matthew Zink Charlie Grecian Coin Bikini from charliebymz.com. Sauvage Swimwear Allure Bikini from sauvagewear.com. Darlings, what are your beach vay-cay essentials? Do any of these CC pieces catch your eye? 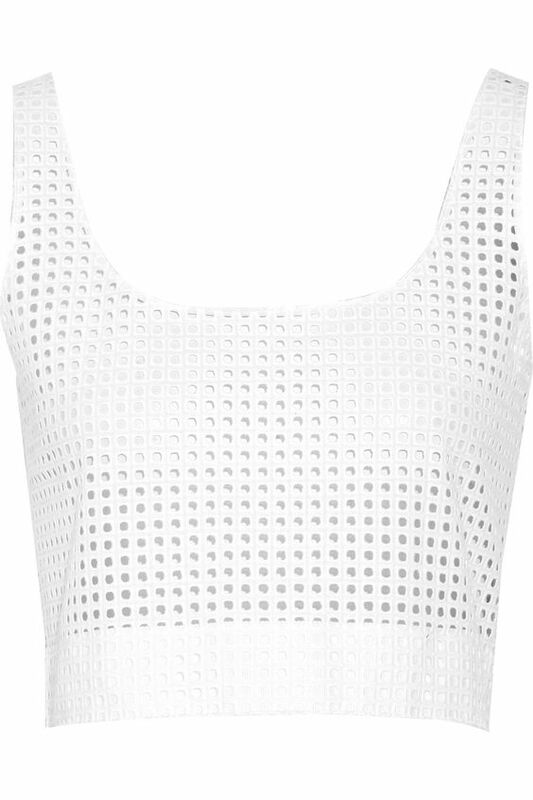 Obsessing over that Alice + Olivia Tracee cropped plisse-georgette halterneck top! I'm so in love with that first necklace, and that white skirt. Beautiful! 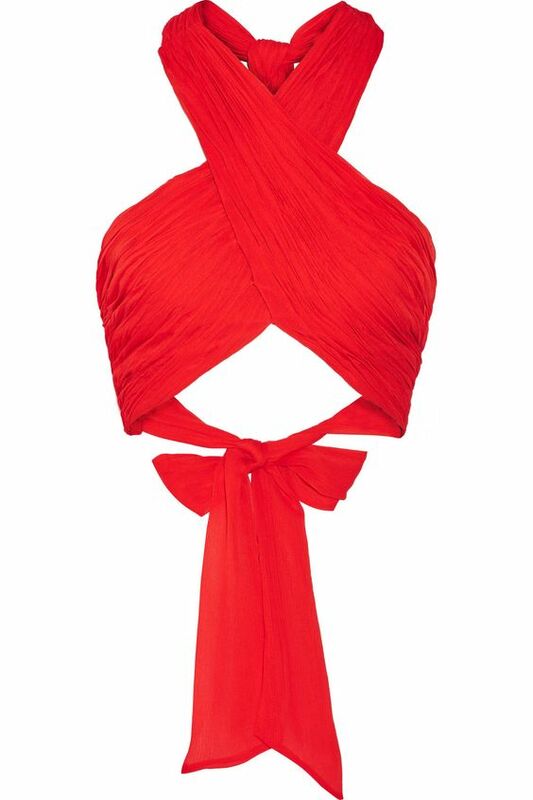 I love the red, wrap round the neck top! That lace skirt is so pretty! Have the best time! So many pretties here. Toe Talk Grip Socks Giveaway! Architectural Inspiration: Kylie Jenner's Closet!